​by Improv Nerd's Jimmy Carrane! “One of these guys is the best improviser in the world. 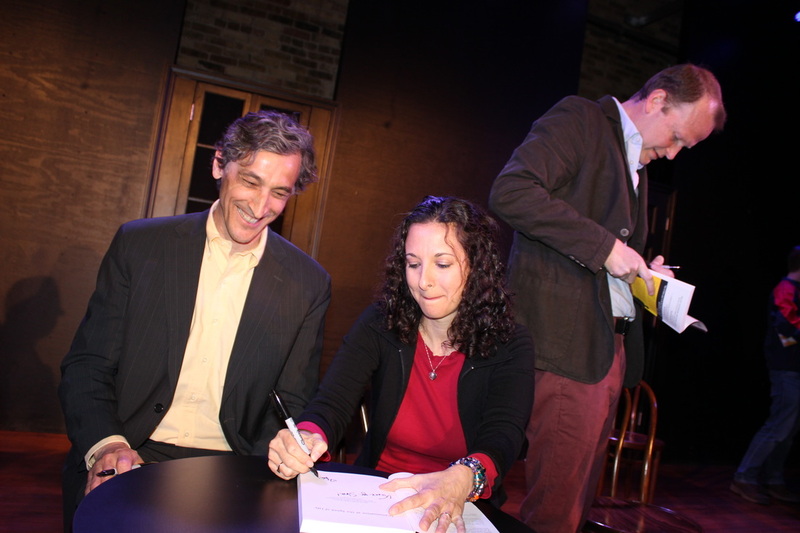 Now both the best and the "bestest" improvisers in the world have written a book, along with their trusty scribe, improv-journalist Pam Victor. "TJ and Dave is one of my all time favorite improv shows. The patience. The intelligence. The honesty. It's such a beautiful show to watch. And this book is a great window into how they do what they do. l love reading books about people's process from people whom I love and respect. And this book does just that. We get inside the minds of TJ and Dave. They share their way of improvising, their philosophy and approach ... I especially like the part where Pam Victor interviews them as well, giving us even more access to them. The book is dense and took me time to process their wonderful concepts. I found this book inspiring, much like when you watch one of their shows." "TJ and Dave's co-author, Pam Victor (no mean improviser herself), did a magnificent job in sitting these guys down to reflect on their process and asking them brilliant and insightful questions about the artform. If you care anything about Improv/Impro/Improvisational Theatre or whatever else you call it, whether you practice short or long form, you need to go out immediately and buy this book and read it from cover to cover and then read it all over again and go out an practice it." 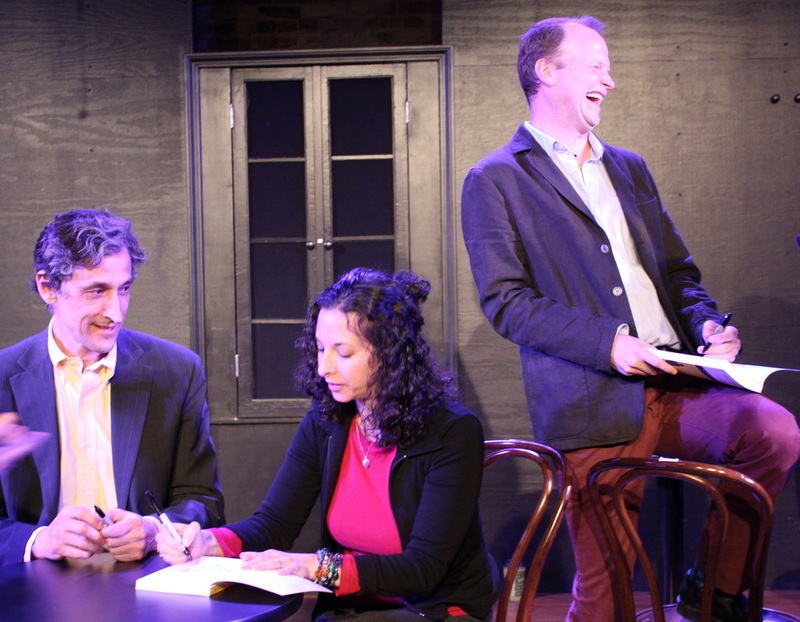 ﻿"For improvisers, you’ll learn about why you should take the next little step in a scene, good ways to offer specificity, and why improv 'rules' are there to be broken. But more exciting to me is the opportunity to put this book in a non-improviser’s hand to understand how to be a better human." "What an amazing book. TJ & Dave are two guys who love improv ... to me they are two guys who are shining a lantern down a path that I want to go down and making it easier for me to see my way and eventually make my own choices on how I may or may not stay on that exact path. Pam Victor performed an improv miracle by wrangling these two great guys into putting their thoughts into this wonderful book! Her introductions, comments and conversations with her co- authors lends a cohesive thread that makes the book so enjoyable and readable." "I would say it's a must have for any improviser's book shelf." "So it’s happened. 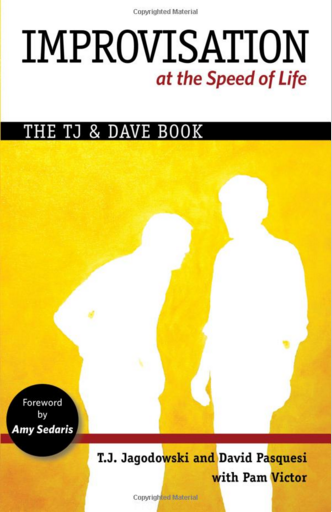 Tj and Dave have written a book: “Improvisation at the Speed of Life: The TJ and Dave Book, with the help of Pam Victor, you might know her from her wonderful blogs “My Nephew is an Improv Poodle.” This is a huge step forward for the improv community. TJ and Dave’s work has influenced modern day improv and now we get to take a look inside to see how they do it." "...there are philosophical and pragmatic gems to be found in each chapter. I appreciated getting to know the history of TJ and David, learning how they developed concepts such as 'heat and weight,' and joining Pam as she asked questions, bantered with the guys, and reflected on her own practice. At the end of the day, absorbing their philosophical insights is bound to make you more present and responsive - on stage and off."